Now Available through Rhode Island Distributing. is meant to be drunk neat, on the rocks, or with a bit of sparkling water. Seaport Shines is a Refined Shine, triple distilled with very little heat, lower alcohol content and less calories than traditional moonshines. These special shines can be enjoyed straight up, chilled over ice or in one of our craft cocktail suggestions. 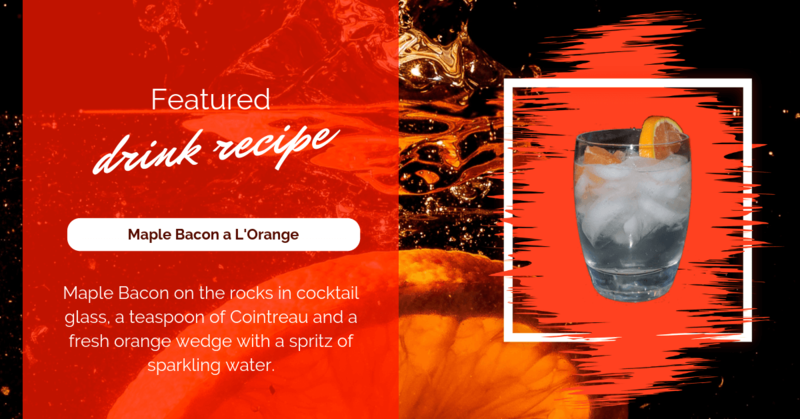 We are providing a few recipes to give you some ideas on how to create sumptuous shine cocktails for you and your guests to enjoy. 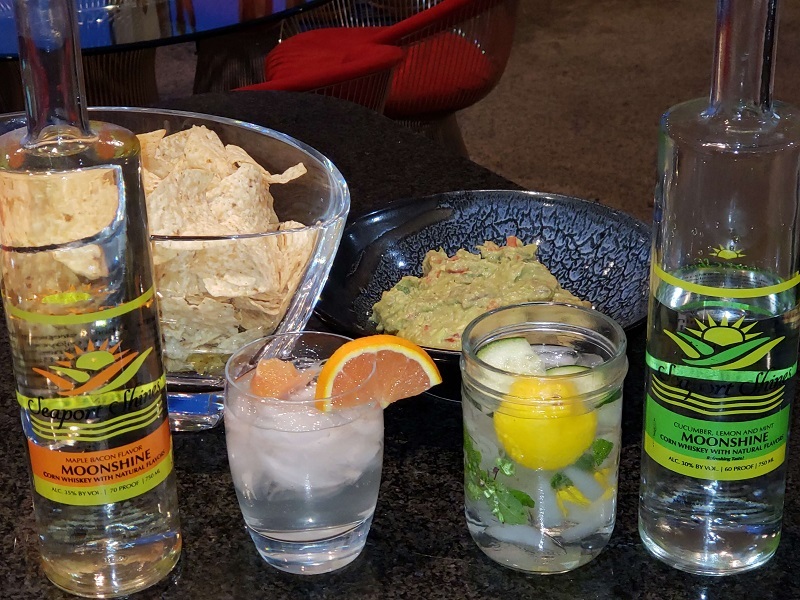 Or, get your bartender on and whip up some shine specialties of your own! 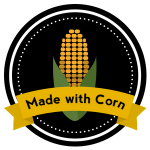 All Seaport Shines products are Gluten Free and are made from corn. Heaven in a Glass is Seaport Shines Cucumber Lemon Mint over ice with a slice of lemon and sprig of mint! Shake Cucumber Lemon Mint with ice in Martini shaker and pour in Martini glass with a spiral of lemon or cucumber rind. Muddle parsley and kiwi with chopped ice in glass mason jar or tall glass. Add one to two shots of Seaport Shines Cucumber, Mint, Lemon. Fill with still or sparkling water. Stir and garnish with celery stalks. Muddle Chopped cucumber, mint and lemon with chopped ice in glass mason jar or tall glass. Add one to two shots of Seaport Shines Cucumber, Mint, Lemon. Add some stevia (no calorie natural sweetener) if you like your drinks on the sweeter side. Fill glass with sparkling water (Perrier, club soda or any kind that you like). Give a quick stir and serve. Seaport Shines is now available at restaurants, bars and liquor stores through Rhode Island Distributing! 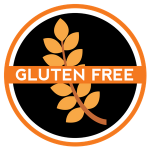 You can find our great products around Rhode Island. Check back frequently as we are adding new locations often! Add Maple Bacon to hot cider, hot chocolate or coffee for the perfect cool weather drink! Put one to two shots of Seaport Shines Maple Bacon Moonshine over ice cubes in mason jar or tall glass. Pour in V8 or tomato juice, add a bit of Worcestershire sauce and a dash of horseradish. One part whiskey and one part Maple Bacon Moonshine with cherry. One part Bourbon and one part Maple Bacon Moonshine. Whether it's Game Day, Happy Hour, or just a casual get together with your friends, Seaport Shines Moonshine is the perfect drink pick. Enjoy it neat or mix up a few drinks. Our flavors go great with your favorite snacks, like chips and guac! © 2018. Seaport Shines, All Rights Reserved. | Website by All Web Promotion.